DUBAI: British expat Tracy Fountain works as a “safeguarding officer” in Dubai. Much of what she does revolves around child protection. She is also a family support volunteer. Last summer she came across a single Sri Lankan mum struggling with her son, a frustrated nine-year-old huddled in a room all day with nothing to do during the vacations. Fountain, who happened to be sending her three boys to a summer camp, decided to get the Sri Lankan boy enrolled as well. Within no time his behaviour drastically changed and his mother was at ease again. One-off as the instance may have seemed, Fountain found there were more such cases. “There were at least 15 families in a similar plight,” she recalled, noting how children from low-income families idled through the long, hot summer while their parents were hard-pressed to keep them occupied. They could ill-afford to attend summer camps or engage in other activities as they invariably came at a heavy price. “On an average, a good camp costs Dh650-Dh750 per child per week. There were hardly any budget options,” said Fountain, who was determined to find a way out and ensure a level playing field for those who couldn’t afford them. 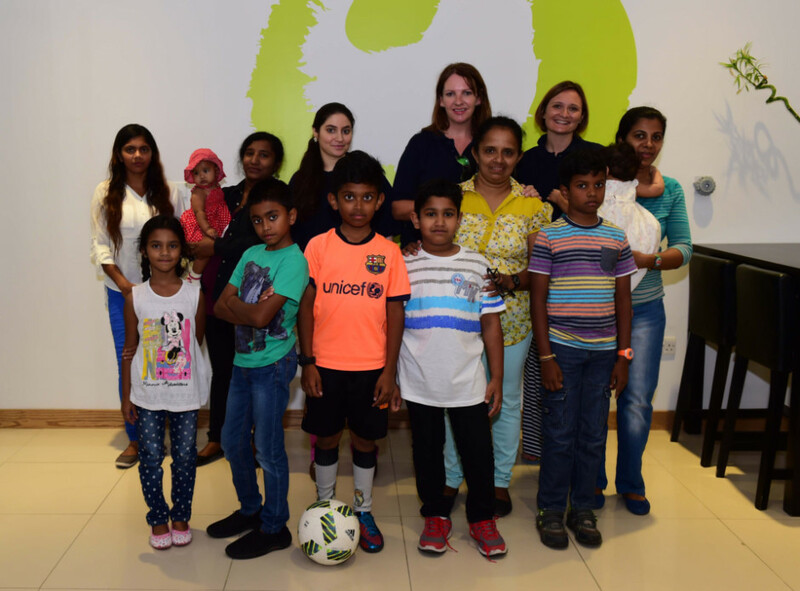 The result was the birth of BOOST, a non-profit programme she initiated with the Emirates Red Crescent to get less privileged children active by partnering with sports and recreational facilities during the holidays. One year on, as the 2016 summer vacations approach, BOOST can boast an enrolment of 100 children from low-income backgrounds in the best sports camps in the city. Aged between eight and 16, many of these children otherwise run the risk of being confined to cramped indoor spaces during the summer, with no options to play, socialise or have fun. Fountain, who has helped several families cope with different issues, said their stress levels are often heightened during summer. She said BOOST upholds the right of every child to keep fit, healthy and active during the summer months. She said BOOST works in partnership with Dubai schools and charities to identify genuine families in need of support. It is backed by companies and individuals who are keen to help keep kids fit, healthy and active during the holiday season, by offering free summer camp places. Parents have to pay a one time administration fee of Dh25. Fountain said the programme could benefit from more corporate sponsors to help increase the number of places available to children this summer and provide free safe transport to and from the summer camp partners, besides free sports kits and healthy lunches. YOUSPEAK: Have you enrolled your kid into a summer camp? Tell us about it.